Block out the world around you with these noise cancelling headphones. 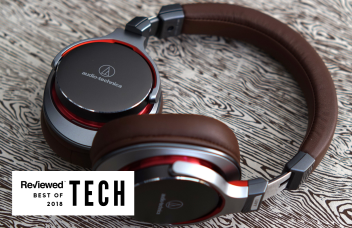 Doesn't matter your price range, we've found the best headset for you. Can your headphones survive a workout, get splashed, or take a dunk in the pool? Here's the mistake you should never make before buying new headphones. Giving headphones as a gift this year? These are the ones to get. Here's a few truly wireless earbuds for people sick of the Apple lifestyle. Prime Day is here, and the Reviewed staff is looking to spend their extra cash on these great deals.